Who benefits from this portal? In the future, you will gain double interest earnings and only pay half the fees, if they will be charged at all. Now, what is necessary in order to obtain these conditions? Please read this portal carefully, become a Fan, learn and implement it consistently. Here you have the chance to get to know the best German bank accounts and their optimal usage in detail, as you will not find this kind of information elsewhere on the Internet. Use our ideas and tests for the optimization of your own finances. Challenge us with your questions. DKB ↝ Withdraw money really free of charge? Open ING or N26 current account? Free DKB better than fee-based premium accounts? Turn Revolut into main current account? Open a bank account in Germany? Many people from Germany and abroad use our special portal to inform themselves about the best possibilities of an account opening in Germany. The free current account of the Deutsche Kreditbank (DKB) is one of the most popular bank accounts in Germany. The distribution of this current account to people outside Germany is also quite high, because the account could be opened easily from abroad until 2014. 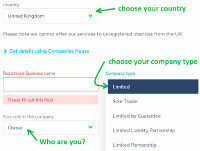 Currently, a place of residence in Germany, Austria or Switzerland is required for the account opening. Exception: You are a German citizen and possess a German passport. In this case, you can open the account via the online application with legitimating through a video chat from almost every country in the world. You can learn more about the DKB-account as well as its clever application possibilities on this page ► DKB Cash with Visa Card – free of charge! The Comdirect Bank also offers a free current account with Visa Card. With a corresponding connection to Germany and German language skills, the account can also be opened with a place of residence abroad. You can find details on this page ► Opening the Comdirect current account successfully. General information about the Comdirect, account, card, deposit and its clever use can be found here ► Comdirect Bank: free account and card! As in many other countries around the world, there is also a subsidiary of the “ING” in Germany. The bank is called ING-DiBa in Germany and also offers an interesting free current account. As common at the ING in other countries, one needs to have a domestic place of residence to open an account – so in Germany. One can take the account and even the credit lines to the abroad, if one is moving later on (the account can be continued despite a foreign residence). You can learn more details in this unique article ► ING-DiBa current account as a completely underestimated option for German expatriates! This is not free, but perhaps an interesting option for many people ► The Onlinekonto of PayCenter. The account opening is virtually guaranteed, because there is no creditworthiness check. Unlike the above mentioned bank accounts, one can also use it as a business account. Even at a place of residence abroad. Soon, there will be a user interface in English language. The customer service is already bilingual (German / English). One is also working on a possibility to legitimate through video camera to avoid a trip to Germany. You could even open the account already today and use it partially until the complete legitimating. If you are here on this special portal, you probably have some questions about the account opening in Germany. Please take a look at the further articles. Many questions of readers are answered through them. If your question should not be mentioned, you can find a comments box below almost every article to post your questions and additions. You are welcome to make use of it! We hope you enjoy the discovery, opening and clever usage of German bank accounts!